Make one stop at the market and find everything you need to enjoy our diverse local bounty. Thirty growers, producers, and artisans, all located within 50 miles, provide fresh fruit and vegetables, meats and poultry, eggs, cheese, honey, maple syrup, jams, bread, baked goods, wines and spirits.Also available is artisan craftwork, fibers including wool and alpaca, yarn, fleece, hides, pottery, beeswax candles and jewelry. The market is proudly sponsored by Otsego2000 and serves approximately 30,000 visitors each year.For toe-tapping entertainment, don't miss live music at the Saturday markets, May through December. Don't let the cold keep you away either! 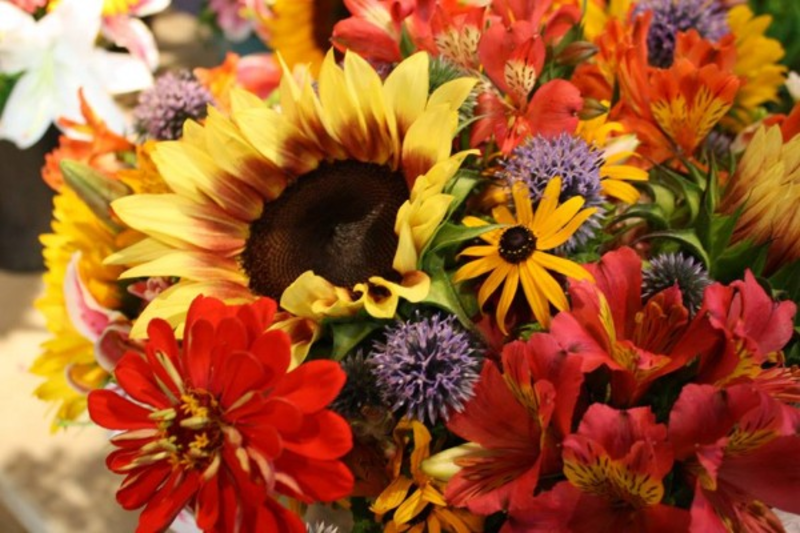 The Cooperstown Farmer's Market is a heated, year-round, indoor market!Open Saturdays: January-April, 10:00-2:00; May-September, 9:00-2:00; September-December, 9:00am - 2:00pm, Open Tuesdays: June-August from noon to 5:00.